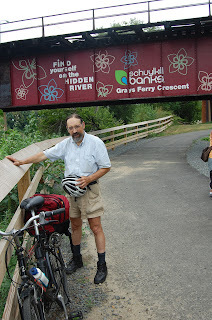 Greater Philadelphia Bicycle News: Three Cheers for Bob Thomas: Our Own Trail Champion! 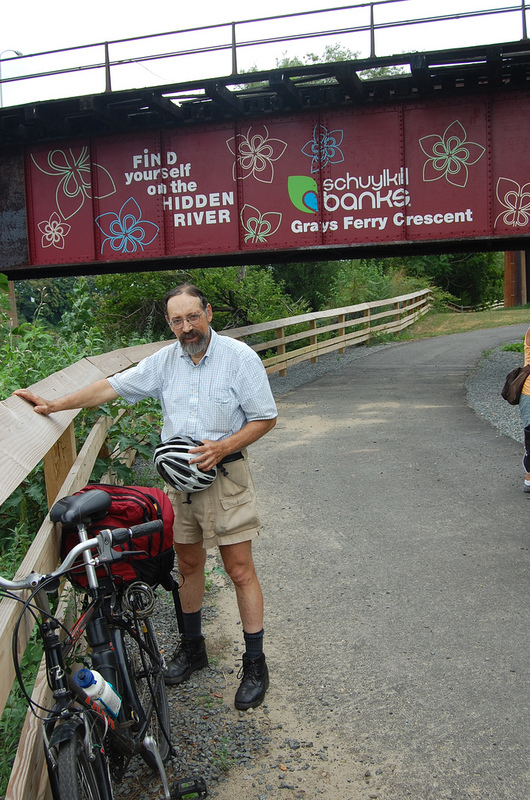 Three Cheers for Bob Thomas: Our Own Trail Champion! In honor of its 25th Anniversary, Rails to Trails Conservancy just announced the winners of the Doppelt Family Rail-Trail Champions Award! Established through the generous support of the Doppelt family, this award program honors 25 individuals who have made significant contributions to the rail-trail movement through their work, volunteerism or support—in short, people who have gone above and beyond in the name of trails. Our own Bob Thomas is one of the recipients of this award. Bob Thomas, of Campbell Thomas Architects, has been working since 1974 on planning, designing and building trails throughout the Delaware Valley. He played a key role in making possible the Schuylkill River Trail, The Radnor Trail, The Audubon Loop, the Perkiomen Trail, the East Coast Greenway, the Chester Valley Trail, the Cobbs Creek Trail, the Philadelphia City-wide Ped/Bike Plan, the 1980's Bicycle Coalition map of the Delaware Valley, and Township-wide Ped/Bike Plans for Whitemarsh, Lower Merion, Upper Merion, and Thornbury Township. Congratulations Bob! Our region's trail network would not be what it is today without you.